We test air purifiers in the quest to see which can best provide relief for the allergy sufferer. From our testing you can see the best air purifiers for allergies. Through performance testing we see a wide range in the ability of air purifiers to clean the air of allergens. The top rated air purifiers have HEPA air filtration and do a good job in providing allergy relief. This is because 99% or more of airborne allergen particles have a size of 0.5 microns and larger and a true HEPA filter is rated to remove 99.97% of particles down to 0.3 microns. Continue reading to learn more about how to find the best air cleaner for your allergies. If you are like us you need help with allergies. You are in good company since according to the Asthma and Allergy Foundation of America more than 50 million Americans suffer from nasal allergies. And 8% or around 25 million have some form of asthma. This article is your guide to air purifiers for allergies. There is no cure for allergies. It’s about prevention and how to best filter airborne allergens. In this article we will share the test results to help you with your allergy symptoms. There are some surprising findings. And include a cool video on allergies that gives additional advice. Finally, we conclude this article with allergy air purifier recommendations. Before we jump to the results we will provide background on allergy and asthma care. And how an air cleaner for home can help you. If you have pets, they suffer from allergens as well. So, this guide is not just for you but the whole family. As we go through this journey to find allergy relief we learned there are many causes of allergies. Airborne allergens can be dust, dust mites, pollen, mold, mold spores, pet dander, pet hair, tobacco smoke, bird dander and a host of other pollutants. These are airborne particulates that range in size from 0.5 microns and larger. An allergy is a sensitivity in your immune system. They are common. Since they effect about 20% of all people. The most common allergies are hay fever, allergic asthma, food allergies and eczema. For this article we will focus on airborne allergies where an air purifier can help. We write more about allergies and asthma here. There are two main causes of allergies. They are host and environmental. Host is from your genetics, race, age, etc. Environmental is from the allergy and air pollution levels where you live. The most important factor is from your genetics. Therefore, if your parents have allergies you are much more likely to have allergies. Around 1 in 3 households have a dog or a cat and about 10 percent of us have a pet allergy reaction to household pets. If you dig a little deeper into the data, you will see that allergy symptoms from cat dander is about twice that of dogs or other types of animal dander. The problem with cats isn’t the pet hair or cat fur. Rather, it is because cat dander is so much smaller and lighter than other animal dander. So, it floats in the air for longer periods of time. Therefore, you are more likely to breathe it in and trigger your asthma or allergy symptoms. For the larger dust and pet hair you can use a pet allergy vacuum like the a HEPA vacuum cleaner to clean this up. To find the best air purifier for allergies means it can filter out the highest amount of these small airborne allergens. This is true even if you don’t have pets since studies have shown all homes have animal dander even if you don’t own a pet. Furthermore, 100% of homes also have mold spores and dust mites. You can’t completely get rid of them. It’s a matter of how to best manage good indoor air quality. For allergy relief you obviously want to remove the airborne particles from the air. Again, this is the dust, pollen, mold spores, etc. So far we have tested 15 popular air purifiers. To do this we use a particle counter to see how well the air cleaners produce clean air. The chart below shows the particle size of several items. The equipment we use tests airborne particles in the green area and the blue area to the right. So, we can see how well each air purification system removes particles at different sizes. The numbers across the top of this chart show the particle size in microns. A micron is a one millionth of a meter. Hence, from the chart we can only see things down to 10 microns in size. Smaller than that and it’s too small to see. The items smaller than 0.1 microns are fine particles or gases. Therefore it’s not surprising that a good allergy air purifier can remove all of the particles. Based on our testing there is nothing that comes close to a true HEPA air purifier. The main reason is that they remove the most allergy particles. HEPA filters remove much more from the air than the others. In our HEPA air purifier page we explain that HEPA uses 3 principles to remove particles. One principle, diffusion catches particles smaller than 0.1 microns. The other two principles catch particles 0.4 microns and larger. So, taken together they remove both the small, middle and large size particles. The weak point for a HEPA filter is at the 0.3 micron size. So, this is where we measure HEPA filter performance. By performance we mean the filter efficiency and air flow. Efficiency is the percentage of particles that are removed from the air. Air flow is the amount of air that circulates through the air purifier. To clean the air from allergens you need a high efficiency filter. And to move a good amount of air through the filter. It sounds simple but it is not easy to do. The results of our testing show a wide range of performance. What we find impressive is the HEPA standard. To be a true HEPA filter it must remove at least 99.97% of particles at 0.3 microns. A very high number since it is measured at the weakest point. In the picture above, the dark black vertical line shows what HEPA filtration is good at removing. Anything to the right of this line is easily filtered with a true HEPA air purification system. Anything to the left may still be cleaned with a HEPA air filter but at a lower efficiency. This means it will likely filter less than 99.97% of these airborne allergy and air pollution particles. If you want to learn more about filter efficiency see our article on MERV ratings. This is the rating system for air filters. The best HEPA filter for home or office use has a MERV 18 rating. In researching air purifiers we notice the experts say the same. This includes the top government agencies who study allergies and asthma. Most of all, the California Air Resources Board. They set many of the standards for indoor air quality. The key is to remove the smallest particles. And not introduce air pollution like ozone into your room. A true HEPA filter checks all of these boxes. As a result, this type of air filter is best for allergy relief to give you the clean air you are looking for. Other types of filters such as those used in a forced-air heating system or HVAC filters have a much lower efficiency and will not remove the smaller airborne particles that trigger most allergies. To best enjoy the benefits of cleaner air from an allergy air purifier there are three key points. A high efficiency air filter will remove the large pollen and dust pollen including dust mites. More importantly, it will capture the small airborne particles. This is important because the small particles cause you the most trouble. Because the smaller particles suspend in the air longer. It’s what you will most likely breathe in. Heavy things fall to the ground fast. It’s crazy that tiny particles can stay suspended in the air for hours. If very small, they can float for days. This is why all homes have cat dander, even if you don’t own a cat. Small particles like pet dander and mold spores simply travel everywhere. So, in choosing the best air purifier it’s important to remove the smallest particles. But more is needed to clean your room. You also should have good air flow through the air purifier. Most of all you want a great filter and strong air flow. Air flow through an air filtration system is known as the CADR. The CADR rating stands for Clean Air Delivery Rate. In other words, how much clean air is coming out of the air cleaner. A higher Clean Air Delivery Rate means more clean air for a given square footage. You will want to get at least 2 to 4 air changes per hour depending upon the severity of your asthma or allergies. You can learn more about the CADR ratings scale. For example, say your bedroom is 300 sq ft. This is a bit of a math exercise but bear with me. If your ceiling is 8 ft high then your room is 2,400 cubic feet (300 x 8). To clean your room four times per hour then requires 9,600 cubic ft per hour of air flow (2,400 x 4). The units for the CADR rating are in cfm (cubic feet per minute). Since there are 60 minutes in an hour we need to divide the above numbers by 60 to convert the room size to CADR. So, for 4 air changes per hour in your 300 sf ft room you need a CADR rating of at least 160 cfm. (9600/60). We did some testing in room and we find that 4-5 air changes per hour is needed for a room air purifier to maintain a high air quality level. With air mixing in from the ventilation system or an open door requires the air filtration system to move a lot of air especially if you are an asthma and allergy sufferer. If you are looking for a whole house air purifier you may want to see our article on commercial air purifiers. These air purification systems can clean a large square foot area up to the entire home. It depends on the sq ft room size of your home or living area. Finally, the third aspect is to have it be quiet. Or at least a reasonable noise level. This is how we rate allergy air purifiers. It’s this combination of three factors that guide our rankings of the best room air purifiers. In addition, we include a rating for ease of use. This is a preference for us. We know not everyone cares so much about this. So, ignore this if it’s not useful. In our testing we noticed some HEPA air cleaners remove close to 100% or airborne allergens. While others remove as little as 50%. This is due to the quality of the filter media. A true HEPA filter removes 99.997% or more of particles that are 0.3 microns and larger. This is virtually anything that would cause you to suffer with allergy symptoms. The best air cleaners have a true HEPA filter. Lower efficiency filters are known as a HEPA-type filter. This means it is not a genuine true HEPA filter. This type of filter can be good for the large types of pet dander but for the smallest particles that you would breathe in they do not work as well. Another kind of filter to look for is called a pre-filter. The purpose is to catch the biggest particles like pet hair and large pet dander. If the HEPA filter is clogged with these particles then it will reduce the air flow and also not last as long. Captures both large and the smallest of particles like dust that trigger allergies. Filter efficiency stays high and can improve as the filter becomes dirty with allergens. No ozone or secondary pollutants are generated. There are many advantage to a HEPA air filter. The main one is it gets the job done. We saw this in testing. Some filters remove all particles that are passing through. Hence, we show this performance in our efficiency rating. Produces white noise on the higher fan speeds. For best performance filters require filter replacement over time. While we find the HEPA purifiers work best for allergies they are not without drawbacks. Sound is a concern if you need the air purifier to be silent. Be sure to look for the noise level dBA if this is a concern for you. We find many of the air purifiers to be quiet or silent on the lower fan speeds. The only issue with this is you get lower air flow. The other consideration is replacement filters. Like an furnace filter a HEPA filter will need to be replaced. From the specifications we see that most HEPA filters last 6-12 months depending on brand. Some higher units have filters that last longer. We recommend using an allergy air purifier where you spend most of your time. For most people this is in a bedroom, office or living area. Run the allergy air purifier on the highest fan speed setting where the noise level is comfortable for you. From testing we found the noise level on the highest fan speed on most air purifiers to be too loud for a bedroom. But the low to medium speeds are almost always silent. Or at least a pleasant white noise. We read hundreds of customer reviews. Many reviewers have the same observation. It was interesting to see several comments on how the white noise helped with sleep. HEPA filters do an amazing job in removing allergy particles from the air. But there is one area where a HEPA air filter is not so good. This is in removing gases and odors. This is many of the items that are shown to the left of the HEPA filtration line in the picture that is above. You may not have noticed that the particle chart above ends at 0.001 microns. Things smaller than this are gases. So small they pass through the fibers of the HEPA filter. The equipment we have does not measure down to this size. We don’t have a good way to measure odor removal from things like tobacco smoke. So, our indoor air quality testing does not cover this area. From what we have read we know that activated carbon is good for many gases. Here we talk about activated carbon air filters. We explain how to activate carbon and why this is important. And what to look for in choosing a carbon filter including a discussion on carbon pre-filters. If you need relief from smoke, mold odors or general pet odors then activated carbon is a good solution. In this case you should get a HEPA filter and a carbon filter. In many cases, a carbon pre-filter may contain only a coating of active carbon and seems unlikely to help much with odor removal. If you have chemical gases like formaldehyde fumes from carpeting or furniture you need a different type of filter. Carbon simply does not absorb this type of gas. Some home air purifiers like the Oransi EJ, ERIK650A & OV200, Austin Air Healtmate allergy machine, IQAir Healthpro and Whirlpool Whispure only use mechanical filtration. Therefore, besides a HEPA and/or carbon filter there is no electrical or electronic device to clean the air. The best of these we discuss in our commercial air purifiers page. There are a few other technologies that we see in testing the products as listed below. One is the use of a negative ion generator. This device works by emitting a negative charge. In some of the air purifiers we tested like the Blueair Hepasilent use this to improve the efficiency of the HEPA-type filter. It works under the principle that the negative ion charge will attach to the airborne allergen and then make it more likely to catch in the air filter. With our particle counter we are able to measure this as part of the overall filter efficiency. Some air cleaners go one step further where the negative ionizer is the entire air purification system. This type of product is known as an ionic air purifier or sometimes called an air ioniser. If you click on the ionic air purifier link we go into more detail. Some air cleaners include the Ionic Breeze, Ionic Pro and Edenpure air purifier. We have not tested this yet but there is another type that used both negative and positive ions. This is plasmawave technology. The Sharp Plasmacluster ion air cleaner is similar, if not the same. As it relates to allergy relief, this seems to be more of a secondary feature to the HEPA filter. 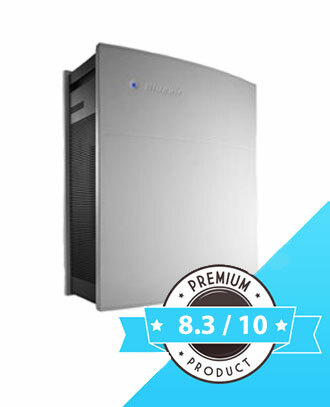 As a result, this is something we will be able to test similar to the Blueair Hepasilent 450E. 3000 Xtreme G3, Biozone air cleaners and Eco Quest Fresh Air. The Airocide air purifier uses what they call a “Photo-catalytic Reaction Chamber”. To be honest, we don’t know the details on how this differs from PCO. PCO seems more odor and gas removal oriented than something that can remove airborne allergens. The final type you may see is UV light. A UV-C room air purifier like the Finn HEPA UV or Air Oasis 3000 has germicidal and air sterilization abilities. UV lights for HVAC systems or air ducts can help with mold growth. An example is the Fresh-Aire UV and is something a professional would install. The use of UV-C germicidal lights is more beneficial if your allergies are related to mold and mildew. If your allergy symptoms are from pet hair, pet dander, etc then an UV-C light alone will not necessarily provide a benefit. In this article we discuss allergies. As well as our learnings in testing for the best air purifier for allergies. We go into some detail on what allergies are. As well as how to choose including how to make sure it can clean the full square foot area of your room. 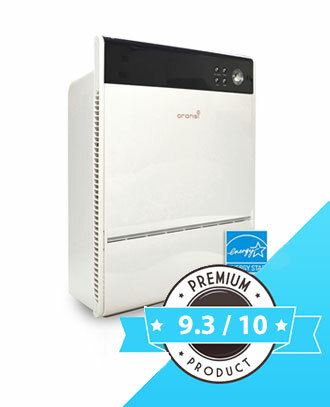 The best choice for allergy and asthma relief is a good HEPA air purifier. We explain the advantages and disadvantages of a true HEPA filter. Finally, we explain what a HEPA filter will and will not do for you. PS, below is a video that explains allergies. This covers both food and airborne allergies in detail. In conclusion, scroll a little further down to see the popular allergy air purifiers.